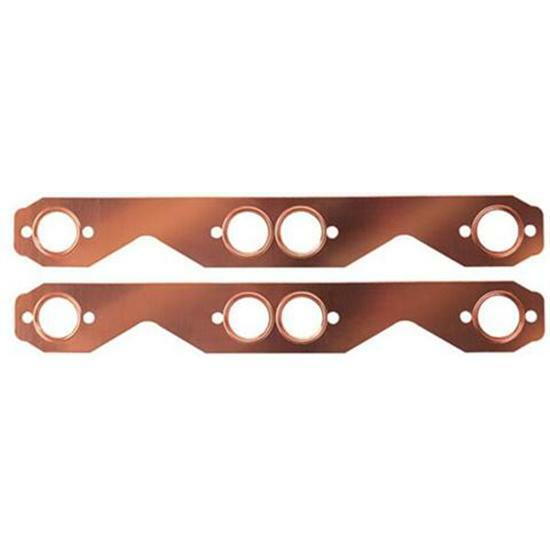 Cure the "leaky header blues" with these copper exhaust gaskets for round port Small Block Chevy heads. These copper exhaust gaskets are die cut and dead soft. Embossed port ridge for a perfect seal. Constructed of the finest .041" copper material and will seal where most gaskets fail. Reusable.